He graduated in Medicine and Surgery, and obtained a postgraduate degree in Cardiothoracic surgery at the University of Padua, Italy where we gained experience mainly in paediatric cardiosurgery. In 2005 He finished a research fellowship in cardiac anatomy at l’Institute of Child Health (UCL) di Londra. in 2009 Dr. Speggiorin moved to the UK where he subspecialised in Paediatric Cardiothoracic Surgery and Complex Paediatric Airway Surgery at Great Ormond Street hospital in London. He also obtained a clinical fellowship in paediatric interventional radiology in 2011. In 2012 he moved to India to work at Narayana Hrudayalaya hospital of Bangalore (India) as Junior consultant Paediatric cardiac surgeon. 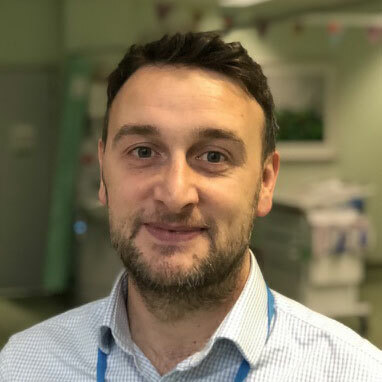 At the end of the same year he returned to the NHS to work as consultant at East Midlands Congenital Heart Centre in Leicester where in 2015 he became head of paediatric and congenital cardiac surgery. During this period he got increasingly involved in 3D cardiac modelling and 3D printing, forming a unit for advanced imaging for complex cardiac anatomy. In September 2017 he moved to Guy’s and ST. Thomas’ NHS Foundation Trust and Evelina London Children’s Hospital. Dr Speggiorin is an Italian Paediatric Cardiothoracic surgeon in London with expertise in 3D cardiac reconstruction and virtual surgery.